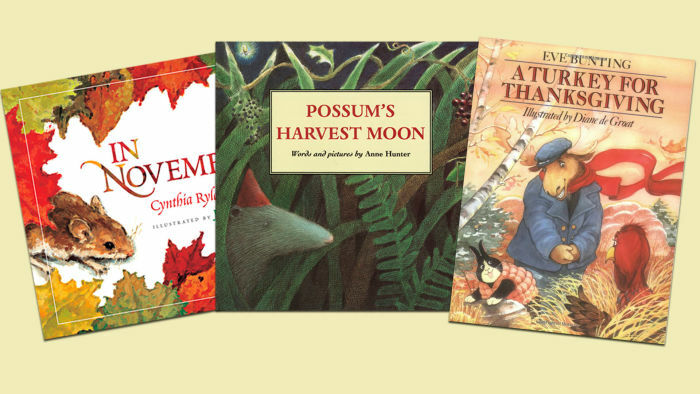 Teach kids the importance of giving thanks with these special stories. One topic that often comes up this time of year is teaching gratitude. Many parents approach me with questions about how to help them instill feelings of gratitude and thankfulness in their young children. My mother always made us write thank you notes, and my husband and I encouraged our children to do the same. We would talk about how the receiver would feel knowing that they liked the gift they received. We would also take a photo of our kids playing with or wearing the items and send it with the note. Grandparents especially loved this. Another great way to teach gratitude is with books. Storytelling and reading to children is one of the most effective ways to support their social-emotional development. 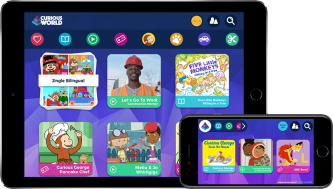 Children make connections to the events and characters while relating elements of the story to their own lives. Reading to children also helps improve vocabulary and reading comprehension skills. Here is a list of 10 of my favorite picture books that will help your little one learn more about gratitude and being thankful. This beautifully illustrated book highlights many things we can be thankful for in life, and the engaging images help children appreciate both the natural and the man-made world around them. Children explore everyday activities to be thankful for, from family meals to bath time. After sharing the story, talk with your child about life's special moments and make a list of all the little things to be thankful for. This is a story of a little possum who wants to throw a party on the night of the harvest. His friends all seem too busy. Possum thinks he will have to have his party alone until he gets a big surprise. I like this story because it demonstrates how much friends need each other and support one another. At the end, they all give thanks for their friendship. The turkey is hiding since he is afraid of why he was invited to dinner. Mr. and Mrs. Moose try to find him. They want to have all their friends at the table and give thanks to each other. This story will help young children who are fearful of playing with others. Newberry medalist Cynthia Rylant pays homage to a special time of year. The illustrations are warm and lovely in this book about the seasonal changes that fall brings. Children learn about animals as they prepare for the winter and are shown a family gathering and giving thanks for their feast. This wonderful story about an African American family planning a meal helps children learn to be thankful for their own family and what they have. It also builds counting and planning skills. This is a story that connects a family's modern day escape to why the Pilgrims journeyed to America. The family is willing to give up everything for a chance at a new life. They are thankful they made the journey and found the freedom they searched for. The blue daisy complains about everything, even as the sun warms the field. But soon she is in danger of losing her petals. Can she learn to be grateful before it is too late? Children will not only learn to be grateful for who they are, but they will also learn about the science of plants. A young boy named Luke is having a bad day and then he finds a special stone. His grandfather tells him a tale of when he found a similar stone and the lesson that it taught him. The story helps children learn gratitude and that their attitude can make a big difference. After the story, help your child find a special stone. I love the cheerful rhymes about the things we should appreciate in our lives. This is one that children will want you to read over and over again, learning about simple things each person is thankful for. Share with us on Facebook your family's favorite ways to show gratitude!